Has censorship gone too far? 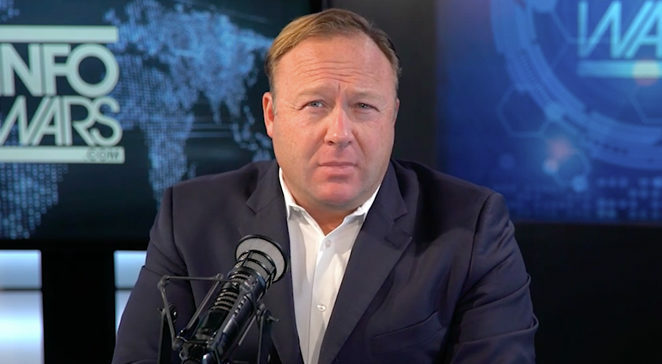 On Aug. 5 and 6, Alex Jones was booted off of Facebook, Apple, Spotify and YouTube. Soon after, LinkedIn, MailChimp, Disqus and even Pinterest banned Jones as well. Whether you like Jones or not, this is the first time several multimedia giants have almost simultaneously banned someone for what are clearly political reasons. Why, then, did Facebook decide that Alex Jones’ content is not protected speech? Because it, as Allan puts it, is “fake news and rumors that will have violent, real-world consequences.” Well, then if that’s the case, CNN should be banned, too. In 2002 , CNN reported fake news that there were “weapons of mass destruction” in Iraq. This was part of former President George W. Bush’s narrative to rally public support for the Iraq War. To Facebook, Jones may have reported a false and offensive story, but CNN’s false reporting helped push Americans into an unnecessary and ungodly war, which is considerably worse than any consequence Jones may have fostered. Banning speech for the protection of morals? Ridiculous. Just imagine for a second that President Donald Trump was one of the dictators that the mainstream media and some democratic politicians claim he loves so dearly. What if Trump decided that any speech against himself was immoral and therefore was banned from being published on the internet? Then The Washington Post, The New York Times, NBC and USA Today would’ve never been published and their reporters would’ve been executed. Facebook and YouTube both essentially hold monopolies over their respective services. Facebook now owns its top competitor, Instagram. YouTube’s three largest competitors are DailyMotion, Vimeo and DTube. How many of you have even heard of DTube? Let’s be honest, no one is switching from YouTube to DTube or from Facebook to Google+. We must ensure social media services with as much influence on public opinion as Facebook and YouTube are protecting the values of freedom of speech, freedom of association and rights to privacy. These international corporations controlling what content we see are playing a dangerous game. And to those who believe we can just jump ship to another platform, look me in the eyes and tell me you’re going to watch Fox News on DTube. Get a clue.